Jo Becker captured one of her husband, BB Becker’s favorite sayings in her exacting script. The couple, who founded BB Becker Jewelry, count their blessings each and every day and encourage you to do the same. 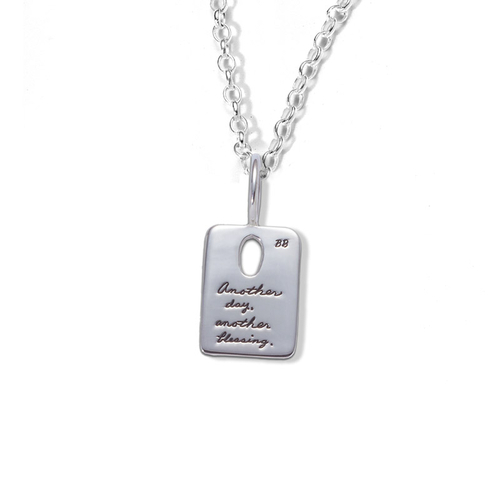 The hand-polished sterling silver rectangle features an oval key hole cutout. It will remind the wearer that she holds the key to her own happiness. Gratitude unlocks spiritual joy. Scientists discovered that a grateful spirit improves both mental and physical health, enhances empathy, and reduces aggression. Whoever receives this thoughtful gift will surely count you among their blessings. 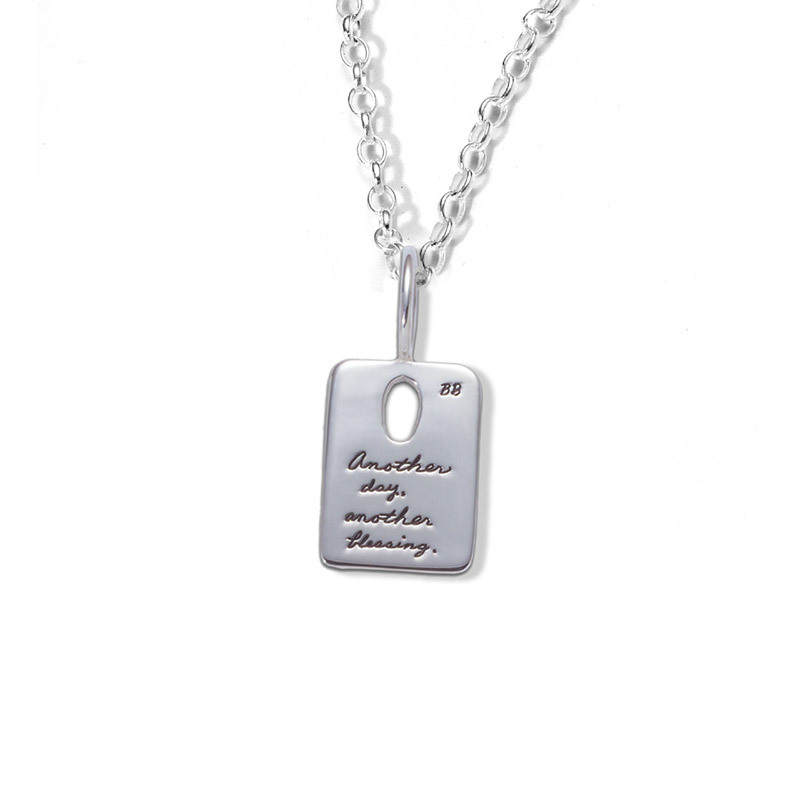 The sterling silver pendant is available with an 18” sterling silver chain or an adjustable black cord.